To win the war, you need to know your enemy. Physical and mental exhaustion, tiredness, lack of motivation – all those symptoms may be defined by one word: fatigue. This common health problem makes you less productive and kills the mood, but a way out exists. We will provide the information about common fatigue forms and possible methods for dealing with them. Don’t blame yourself for being tired all the time. Your condition may have serious root causes and be diagnosed as a fatigue. Sometimes it feels like drowsiness, muscle weakness, or lack of energy. 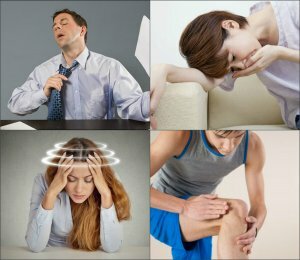 What Can Cause Fatigue Condition? 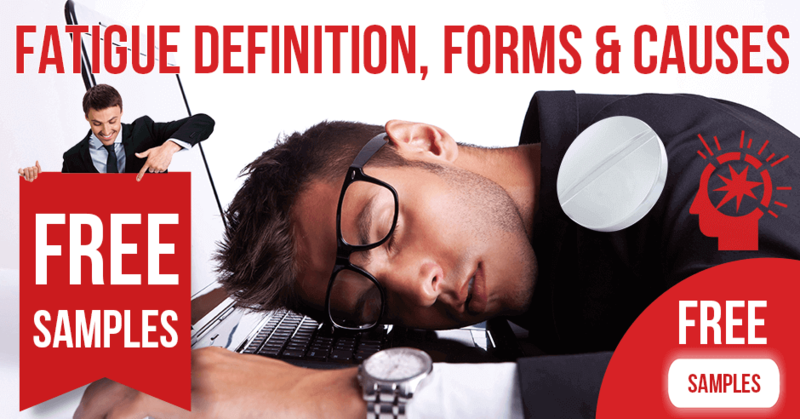 Do Smart Drugs Help for Fatigue? Even though sleepiness can be a symptom of fatigue, those conditions are different. It is quite a normal situation when your eyes are closing after a hard day or sleepless night. Such a feeling is usually short-term, while the persistent tiredness and drowsiness usually mean a medical problem, especially chronic fatigue syndrome (further referred to as CFS). 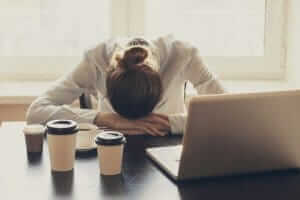 Read the credible information about fatigue below: find out its forms, causes, and ways of treatment to learn how to distinguish a serious issue from a temporary question. The general definition for fatigue is a constant low energy condition which may be accompanied by the strong desire to sleep, apathy, and body exhaustion. It reflects at physical, mental, or both levels at the same time depending on its cause. Physical fatigue is an inability to accomplish daily tasks involving the muscles. A person suffering this type of symptom feels muscle weakness and a decline in physical strength. 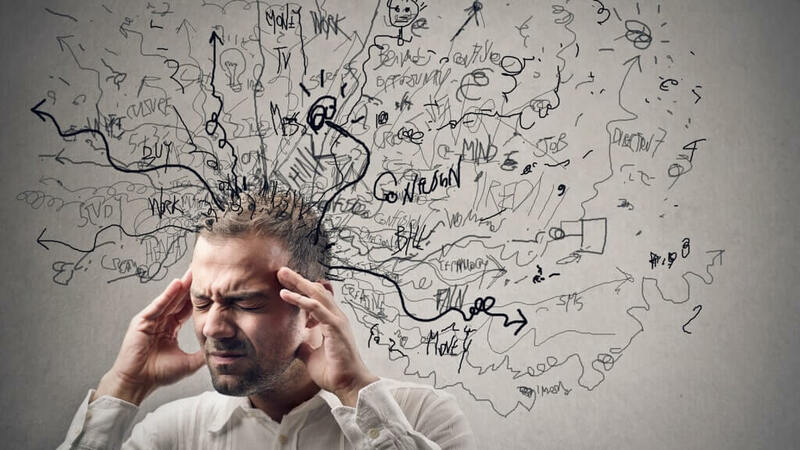 Mental fatigue includes lack of concentration, sleepiness, and low level of consciousness. A patient’s brain doesn’t show normal cognitive performance. Normally, any above-mentioned type of tiredness goes away after reducing an intense activity and having a rest. If the feeling lasts more than a couple of days, there is fatigue. In such cases, this thing prevents people from living a full life and makes them feel uncomfortable. As you can see, long-term fatigue is not an illness; it is a non-specific symptom of various medical conditions. Even without being aware of what is fatigue, at least 20% of American people are experiencing it. Mental fatigue is more common than physical fatigue: their rates are estimated as 60% and 40%, respectively. A symptom is usually perceived subjectively by an affected person while staying invisible for others. Not everybody notices fatigue because of its gradual onset. It is hard to compare the initial state of the body and the current feelings, particularly in elderly people. The individual may not know about his or her condition for ages before asking for medical help. The symptom may manifest itself in several forms or their combinations. Types of fatigue are classified according to its duration, severity, or sphere of influence. It varies from mild tiredness to extreme exhaustion with a general type of the disorder somewhere in the middle. Overwork, lack of sleep and stress – either of these factors makes you feel fatigued normally. Deficiencies of energy are natural responses of the body to such circumstances. If you notice a minor illness, all you need is to recuperate at home and take your mind off the problems. This form of fatigue can be treated on your own and doesn’t require medical assistance. problems with concentration, learning and memorization. Usually, the general kind is caused by a regular cold or hard work and lasts no longer than 2 weeks. There is nothing surprising. The energy reserves are depleted and the body needs time for recovery. In case some signs of more severe condition’s development appear, contact your doctor. An individual who suffers from this type of fatigue doesn’t feel rested after sleeping or relaxing. He or she feels tired starting in the morning, continuing at the afternoon, and not ending in the evening. Even the presence of one or two symptoms from the list above interferes with normal life. However, it is always hard to diagnose fatigue on your own because of a lot of non-specific signs which may be inherent to a variety of diseases. The best solution in cases of severe tiredness is to ask for medical help. If you are experiencing an extreme form of fatigue, immediately call the doctor or an emergency service. This condition may be life-threatening, especially if it occurs unexpectedly. Chronic fatigue syndrome, or CFS, is a prolonged feeling of a permanent lethargy which doesn’t go away after a good rest. A distinguishing feature of CFS is no explanation of such a condition: the fatigue causes are barely determined and are not connected with a medical problem. The disorder is also called myalgic encephalomyelitis (ME) or systemic exertion intolerance disease (SEID). There is no general consensus on what causes fatigue of this type. The majority of experts agree that in most cases there is a combination of psychological and physiological factors, including a weakened immune system, hormones’ issues, anxiety, viral and bacterial infection, depression, or genetic predisposition. Scientists have undertaken many studies on the connection between various viruses (Epstein-Barr virus, rubella, Ross River virus, human herpesvirus 6), bacteria (Coxiella burnetii, mycoplasma) and CFS. None of those organisms were defined as an obvious cause of this disorder. CFS is usually accompanied by a weakening of the immune system and hormone imbalance (for instance, low testosterone in men or low progesterone in women). This is unclear whether it is the cause or just a consequent phenomenon. However, statistics show that women in their 40s and 50s are in a group of risk among the adult population. It allows making an assumption about some relation between menopause and CFS. Teenagers are the most vulnerable to the syndrome among children. CFS is often confused with common chronic fatigue. This kind of symptom will be described hereinafter as the persistent type. The condition claiming the title “CFS” should last more than 6 months and be not solvable by bedrest. It is debilitating enough to interfere with normal life and doesn’t have any obvious causes. swollen and painful lymph nodes. Intense physical or mental activity often worsens the condition. CFS can manifest itself in cycles when the patient experiences remissions and relapses. 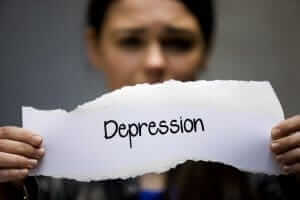 For other symptoms related more to your psychological condition than to physical, you have a mental version of fatigue. It affects a person’s cognitive activity and leads to poor job performance, inability to solve intellectual challenges, and worsening of learning abilities. The most dangerous feature of mental fatigue is its gradual onset. The person can’t objectively assess his or her condition before and after the symptom appeared. In some cases, mental fatigue can influence physical activities and lower strength and endurance. Common signs are drowsiness, lethargy, and muscle weakness. The best solution to the problem is to stop the mental activity and create a comfortable environment around. Nevertheless, suddenly occurring extreme forms of such fatigue accompanied by vertigo, impaired speech, blurred vision, or loss of consciousness require an immediate medical assistance. A chronic type of fatigue or CFS may be also referred to as a persistent type. Even though these conditions have much in common, CFS is considered to be less understood and a more difficult disorder than simple persistent fatigue. This symptom is often a consequence of underlying reasons: diseases, medications, or allergies which can be easily diagnosed. They mold fatigue as a natural phenomenon of body exhaustion. Prolonged fatigue turns into CFS when it has a duration of 6 months or longer. The causes of this syndrome remain unknown, unlike persistent tiredness. The symptoms inherent particularly to this kind of fatigue have been described in detail in the corresponding subparagraph. The signs of a persistent type may be different depending on its causes, and they are similar to general type’s characteristics. The only difference: a chronic fatigue lasts longer and requires a special treatment while the duration of a persistent type is between 1 and 6 months. Fatigue is a symptom inherent to various medical conditions. Many drugs cause it as a side effect. 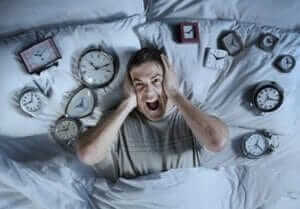 Some physical and rare mental disorders also become a reason for fatigue emergence. 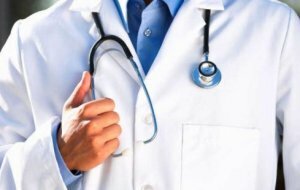 That is why the patient should go through many examinations and tests before the initial issue in this particular case will be conclusively known. Everyone who feels fatigued needs to be aware of the most common causes of fatigue. It will simplify the diagnosis if you tell your doctor about your actions and feelings that preceded the condition. 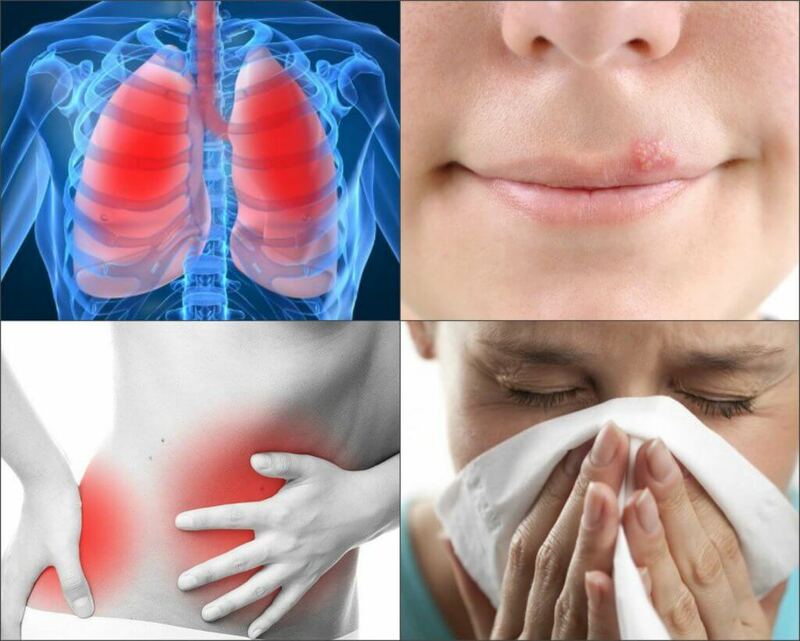 Viral and bacterial infections are always caused by harmful microorganisms. Seasonal allergy can also manifest itself in tiredness, drowsiness, and a melancholy mood. Also, be careful while you feel weak after eating – it can be a precursor to various food allergies. In this case, you should avoid products that make you feel bad. A spring allergy is an inevitable thing for some people. If you feel fatigued during this period, try to take special medicines for allergies and supplements which contain necessary vitamins and minerals for facilitating your health. Often fatigue can result from depression, anxiety, alcohol and drug abuse, grief, and so on. The treatment of mental conditions should be supported by the psychologist’s consultations. Some of them give such side effects rarely. For instance, only several people reported about it while suffering from gastritis or endometriosis. Changes in the blood content such as abnormal white blood cell count, deficiency of platelets, low ferritin, low oxygen, or high glucose are common companions of fatigue. Rare autoimmune disorders like Celiac disease (gluten intolerance), chronic lymphocytic thyroiditis, osteoarthritis, systemic lupus, and psoriasis can also cause persistent fatigue. Many prescription and over-the-counter drugs have a fatigue side effect in their instructions. This happens due to neurotransmitters’ affection. Those chemicals are responsible for feelings of cheerfulness or sleepiness, but after taking certain medicines their normal functioning is violated. opioid pain medications: Percocet, Opana, Vicodin. This list is not full, so if you buy a medicine, read the information on the package before taking it. One of the possible side effects can be fatigue. It is worth noting that fatigue may be caused by a deficiency of some essential elements. If your body lacks vitamin D and/or, iron or suffers from low potassium, low calcium, low sodium levels, and dehydration, do not wonder why you are feeling exhausted. Similar conditions may appear due to smoking or even while quitting smoking. Another reason for weakness may be a caffeine overdose instead of good sleep. You should know that when coffee wears off, you will feel even more tired than you did before drinking it. There is strong link between lightheadedness and fatigue. So, the response to the question “Can fatigue cause lightheadedness?” is obviously yes. Dizziness is a condition when a person doesn’t faint but feels unstable. Sometimes, it seems that you are losing the ground under your feet. It’s common to feel this way when you are tired or sleepy. use of particular medications with those side effects. Panic attacks often accompany fatigue within depression, anxiety, stress, grief, and other psychologically uncomfortable medical conditions. Also, they can be related to nervous system problems. BPPV (benign paroxysmal positional vertigo). Even though there are medications for specific fatigue causes (such as levothyroxine), drugs such as Modafinil, Armodafinil, Provigil, and Artvigil are usually used for chronic fatigue treatment in general. Additionally, you can take probiotics and rhodiola which are the natural remedies for tiredness and lack of vital energy. 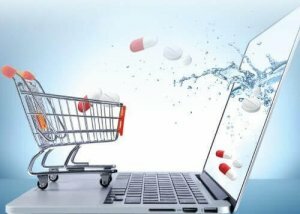 You can buy above-mentioned medications in Modafinil online pharmacy without a prescription. We provide fast delivery across the USA: you will receive your package within 7-10 days via express shipment and 10-18 via the regular one. Pay for the orders using bitcoins and get a 35% discount.